On February 9th 2017, Breitling and Lufthansa held an exclusive event to celebrate the finest moments in the conquest of the skies and the airline's heritage outfits at Breitling's New York Flagship Boutique during New York Fashion Week. The celebration was attended by Breitling ambassador and 2014 Red Bull Air Race World Champion Nigel Lamb. Breitling, one of the last remaining independent and family owned Swiss luxury watch brands, opened the doors of its Boutique to welcome Germany's national airline Lufthansa and their partners. 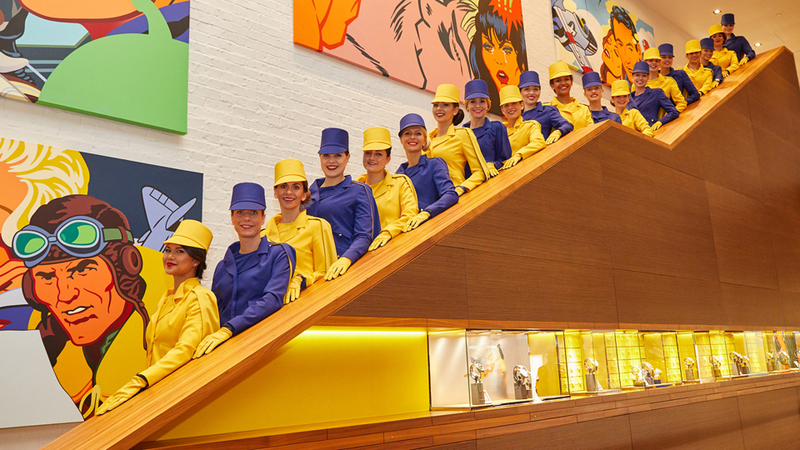 On the first evening of New York Fashion Week, Lufthansa flight attendants presented a retrospect of Lufthansa's heritage uniforms from the past 60 years. More than 180 guests and media representatives attended the exclusive event, including Breitling ambassador Nigel Lamb. Throughout the evening, guests discovered the latest Breitling collection in the largest Breitling Boutique in the world. Prior to this, Lufthansa organized their first fashion show across the Atlantic at over 10'000 meters altitude onboard a Boeing 747-8 flight to New York. 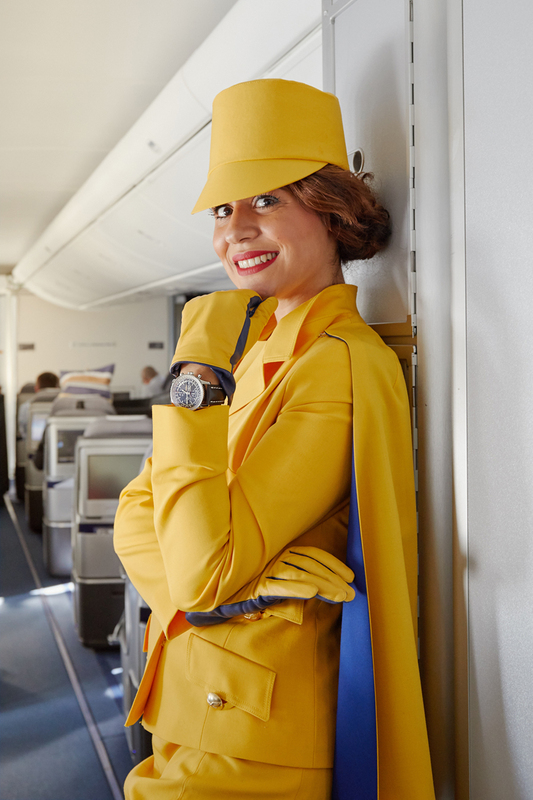 The aisles became a catwalk and the passengers experienced an exclusive preview of fashion up in the air. 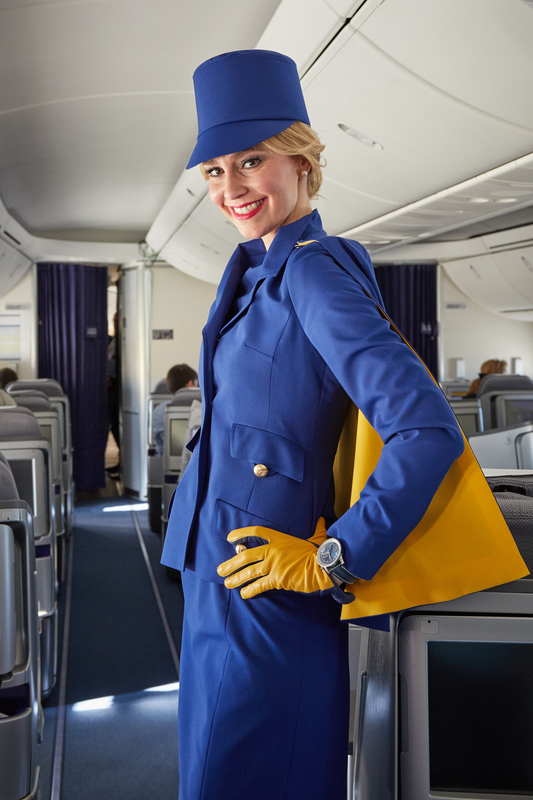 While showing Lufthansa's heritage uniforms as well as the pre-fall 2017 collection of New York fashion designer Rubin Singer, the flight attendants also presented the Navitimer Heritage. 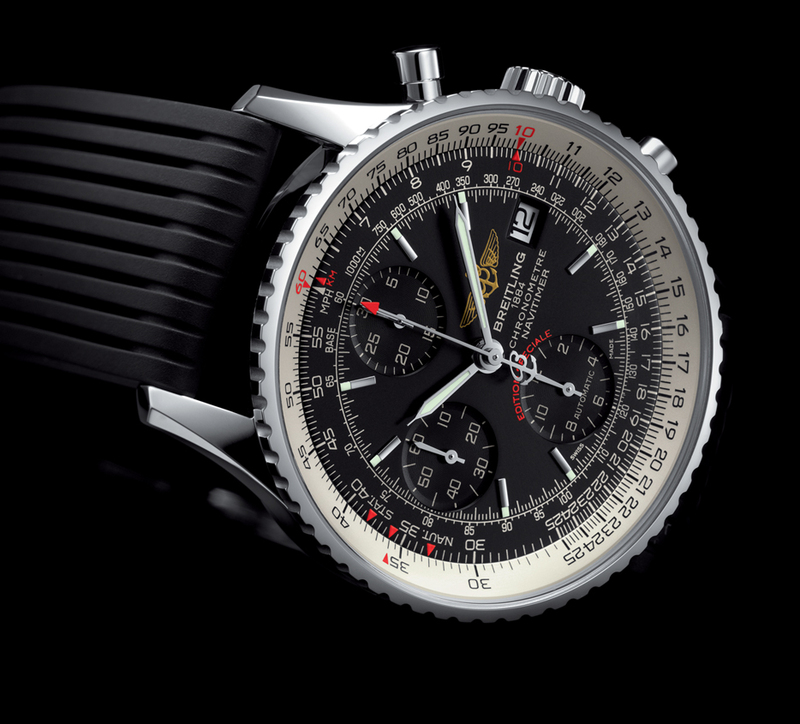 A tribute to the original Navitimer (1952), this legendary chronograph is distinguished by its slightly smaller diameter and its black or blue dial featuring tone-on-tone counters. The circular slide rule, operated via the bidirectional rotating bezel, serves to perform all airborne navigation operations. 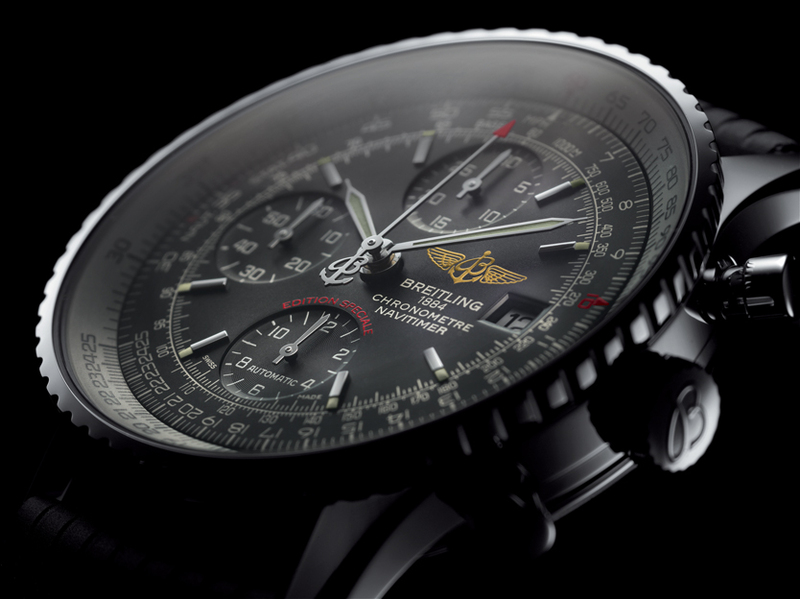 The Navitimer Heritage features another original characteristic in the shape of a black rubber strap matching the dial color and adorned with an aircraft-tire tread motif.